By mid ’80s, the scope of supply chain had enlarged beyond connecting two dots. The term supply chain, which entered popular discourse sometime in 1982, meant an integrated approach to inventory management with functions like production, marketing, sales, and finance all subsumed under it. Now that their traditional markets are fast reaching saturation point, businesses feel compelled to expand to new regions. Such outreach, especially by large enterprises, is underpinned by an entire bewildering network of intermediaries (contract manufacturers, direct suppliers, sub suppliers, suppliers of basic raw materials, distribution centers, logistics providers, banks etc. ), which many companies struggle to manage. There is a strong chance that at least some of the intermediaries are still laboring along on the back of manual and dated processes, resulting in lengthy process, duplication and waste. The supply chain ecosystem is hamstrung by lack of real-time connectivity and end-to-end visibility of operations. Inefficient handling of goods in transit is another thorn in the side. Blockchain’s distributed ledger technology can help remedy many of the failings that supply chains are prone to and it holds potential to work across industries. Transactions are hashed using advanced cryptography and record in an immutable way and the same can be processed for validation. Any malicious attempt to alter or delete a transaction will trigger changes across different blocks and, since this is a distributed ledger, be spotted and remedied instantaneously. This makes the blockchain an almost un-hackable and therefore trusted data store. Be it an Indian-grown banana retailed in the US; or a diamond sourced from Sierra Leone and sold in Place Vendome, Paris. or tracking the entire delivery chain of certain time critical medicines. 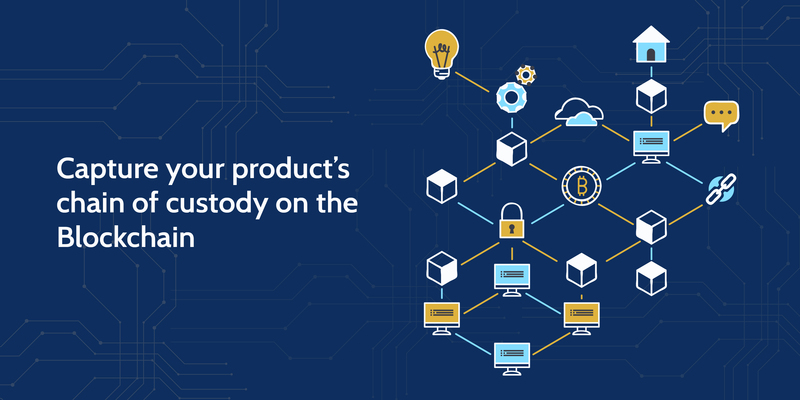 The product characteristics – such as origin, date, time, location, parties involved, and transfer of its custody – will be captured on the blockchain in the form of an irreversible registry of transactions. Many enterprise and retailers are moving its supply chain data on to the blockchain to improve supply chain performance, Implementing QR codes or NFC chips as a “tag” to track the supply chain – all the way from its origin to destination. Many end customers today, more than ever before, like to know the origin of their product, want to track the various hops of their supply chain, to have transparency on its sourcing, along the same line, many diamond buyers want to know the provenance of their diamond right from mining to ornament.